GDPR has led to many issues around the storage of data. SVL Director, Peter Gough, discusses its impact on the contact centre industry and the abundance of legacy data that is stored. So 25th May 2018 came and went. 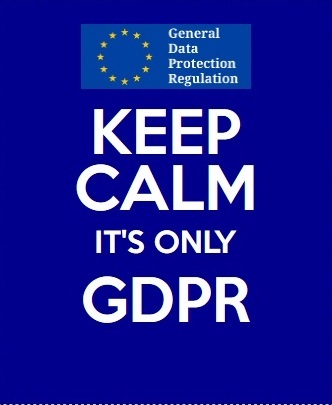 The General Data Protection Act (GDPR) came into force. Businesses had sent out emails pleading for customers to keep in touch like a long-lost lover. The dust then settled and many a database was lighter than before. However, for the contact centre industry, this isn’t the end of the matter. An abundance of legacy data (data that you have on your systems, but that you don’t necessarily use on a day-to-day basis) is held for compliance purposes by contact centres. This could be client financial data, employee records, and so on. You must store this information, no question, but live data becomes legacy data very quickly. The issue isn’t just WHAT you must store, compliance regulations are clear on this, but HOW and WHERE you store it can be the real challenge. The key question is, do you know where all this data resides? Is it on your in-house servers? You may have decommissioned systems that are still required at some stage, or even data on USB sticks, CDs, floppy disks or tapes (we can be talking about information that is up to 25 years old). Imagine credit card-holder details that you kept after the transaction went through, which now are in breach of PCI and GDPR regulations. It could even be health disclosure information that you needed at the time but don’t need any more. Is there any data which should be redacted? SVL has been in the data-collection business for over 50 years and we know the challenges that our industry faces. Toxic data is any data you hold, whether on live or legacy systems, that you don’t really need to conduct your business and that is potentially exposing you to risk. This isn’t just data stored on servers and hardware, but potentially within cloud services that you either no longer use (or think you don’t use). Cloud compliance is an issue for anyone using cloud storage or backup services. The key to successfully getting rid of and managing toxic data within your systems, is to create a continuous process, running data discovery tools, disposing of data that you no longer need and ensuring your staff are aware of what you are doing, so they don’t end up creating new data that might become toxic for the organisation. However, to do this effectively, you must have all this data in one place. Contact Centres have wrestled with these issues for the last 2 years. In particular, capturing and auditing where the data resides (including reels of tape and other optical formats) has been a huge challenge. Here at SVL Business Solutions, we have been able to offer both comfort and, eventually, joy to clients who have struggled mapping and storing legacy data. As well as offering to consolidate the long term storage of historical audio transactions onto a single, up to date platform, we use Automated Speech Transcription which enables recordings to be searched for by any word or phrase. It allows the results to be viewed in seconds as text summaries ranked by relevance and generates text transcripts that can be reviewed three times faster than traditional manual methods. Working with in-house I.T. legal and compliance teams, we are comfortable that with our analytics solutions, our clients can identify, access and if requested, delete any recordings of interactions that contain captured personal information within one month. This work will go on for a number of years, but engaging with this issue now will make a huge difference going forward. NOTE: Apologies to Eminem, Britney and George Ezra for using your songs as headers! SVL Business Solutions is based in East Kilbride for over 50 years, providing Voice Recording Software to the Contact Centre Industry.